Grass tetany, sometimes called grass staggers or hypomagnesaemia, is a metabolic disorder of cattle related to a deficiency of magnesium (Mg). Early lactation cows are the most susceptible, with older cows considered more susceptible than those with their first or second calves. The logic is that older cows seem less capable of mobilizing Mg reserves from the bones than their younger counterparts, reports onpasture.com. Unfortunately, in many cases of grass tetany, symptoms are not noted and the only evidence is a dead cow. In mild cases, milk yield is decreased and the animal is nervous. These signs indicate the need for preventive measures. Animals affected by acute grass tetany may suddenly stop grazing, appear uncomfortable and show unusual signs of alertness, such as staring and keeping their heads and ears in an erect position. Cows may also stagger, have twitching skin (especially on the face, ears, and flanks), and lie down and get up frequently. Click here for a complete look at the causes and treatment of grass tetany. Are you ready to run a flerd? 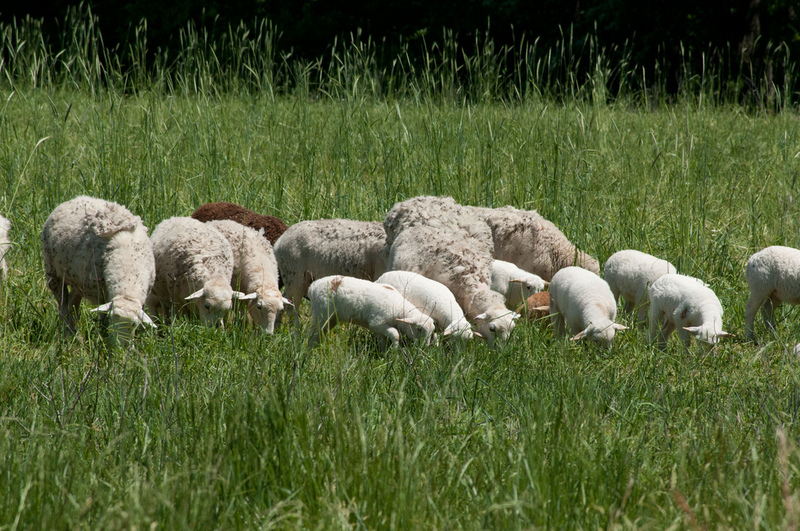 Hybrid sheep can survive solely on grass at the Tuckahoe Plantation, in the Richmond, VA area on May 5, 2011. An electrified fence keep herd in the proper pastures where they graze on the grass and leave nutrient rich manure to revitalize the soil, enhancing regrowth. The plantation was the boyhood home of President Thomas Jefferson from 1745 until 1752, today it is a working farm with cattle, sheep, chickens and rabbits supplying meats to Fall Line Farms a local food hub. Fall Line Farms offers a wide variety of household food staples and specialty items on an ever changing inventory of fruits, vegetables, meats, soaps, eggs, cheeses, flowers, honey, pastas, sauces, syrups, baked goods, mushrooms, flour and grains. Suppliers post what they have on a Lulus Local Food online listing and customers (who pay seasonal dues) make their selection. Then every Thursday suppliers team up with other suppliers to deliver orders to, one of several pick-up points, designated by the customer in or around the Richmond area. USDA Photo by Lance Cheung. Research past and present indicts that ranchers can run cattle and sheep together in a flerd, for flock and herd, and increase the efficiency of their operation. Kris Ringwall, beef Extension specialist with North Dakota State University, says recent research at the Dickenson Research Extension Center sales caused him to ponder the concept of adding a sheep for every cow, reports Farm Forum. 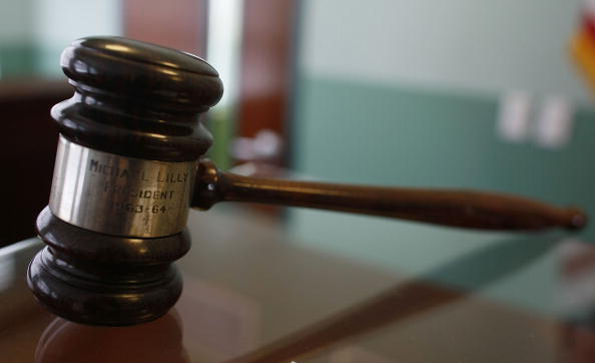 A federal judge accepted a settlement agreement recently that secures the private information of thousands of livestock and poultry farmers in 36 states, according to the Oklahoma Farm Report. The Farm Bureau and National Pork Producers Council filed a lawsuit in 2013 after EPA released a vast compilation of spreadsheets containing personal information about farmers and ranchers in 29 states. EPA was poised at that time to release more spreadsheets containing similar information on farmers in an additional six states. Southwest ranchers and landowners who lost grazing from recent wildfires should get to their local USDA service centers as soon as possible to sign up for assistance, reports the Southwest Farm Press. The Agriculture Act of 2014 provides financial assistance for some losses through the Livestock indemnity Program. Also the Natural Resource Conservation Service (NRCS) Environmental Quality Incentive Program (EQIP) has funds available to help in grazing recovery efforts. Even a month after the massive fires that devastated families, cattle and ranches, the true depths of human kindness continue to shine. Ron Hays with the Radio Oklahoma Network reports on a Facebook post he read from Matt Boyer, ag teacher with the Claremore, Okla., FFA chapter. Boyer and his students delivered feed and fencing supplies to the collection point at Buffalo Feeders in Buffalo, Okla., to donate to the fire victims. "Pulling in, we stood about 8th in line to unload behind a pickup from Texas, 5 from Michigan, the Quapaw FFA, 1 from Missouri and a man from NW Wisconsin with a bumper trailer loaded with corner post and milk replacer. The students helped grab a couple cases of water from his pickup and he stated he needed to get back to the dairy. He handed Tom (Fanning, manager of the feedyard) a check for the Oklahoma Cattlemen's Association fire relief fund and headed back to Wisconsin. Building on the initial success of the program, which celebrated 5,000 graduates in the first five years, the checkoff released a brand new set of lessons in 2015. To accompany the new courses, MBA program staff developed an interactive "Mobile Conversation Guide" app for iPhone and Android in 2016, giving MBA graduates access to information from the courses at their fingertips.